Transport Bourret, at the heart of community development since 1928. Transport Bourret celebrates 90 years of devotion! 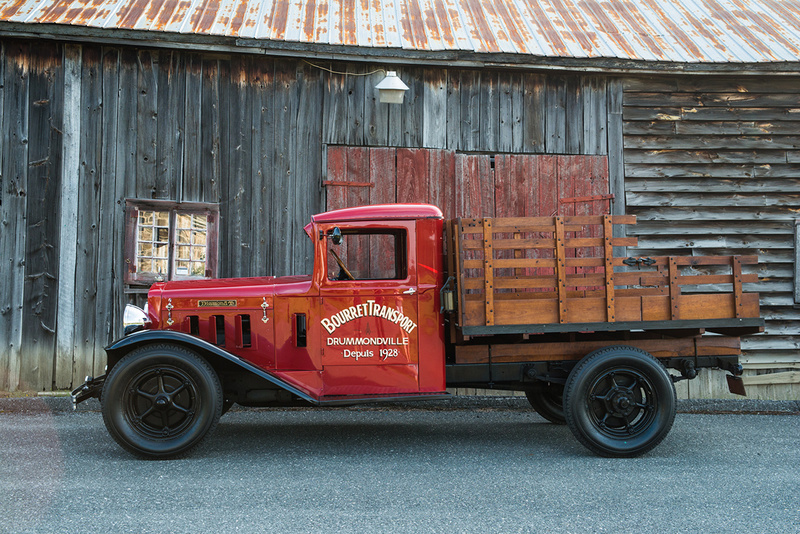 For Transport Bourret, this relationship of trust with local businesses began in St-Eugene in 1928, when Mr. Ludger Bourret decided to found his company in the heart of his native village. At that time, the company’s primary goal was to meet the needs of the village. 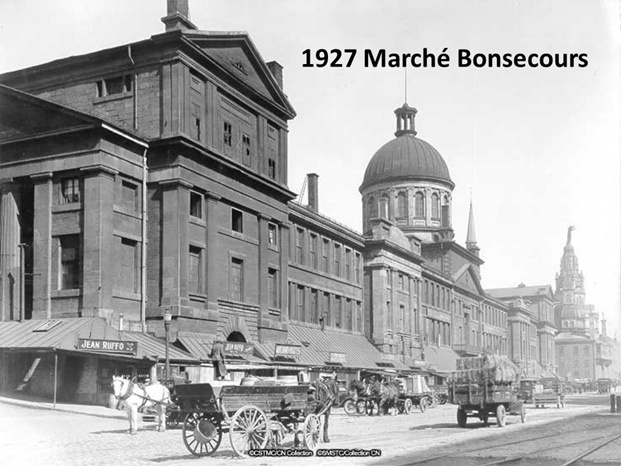 In fact, the only truck owned by Mr. Bourret was used primarily to transport locally produced raw materials to the Marche Central de Montreal. At that time, the trailer transported the production of the Bourret family’s saw mill, the production of the village flour mill and all the other raw materials produced in the area. 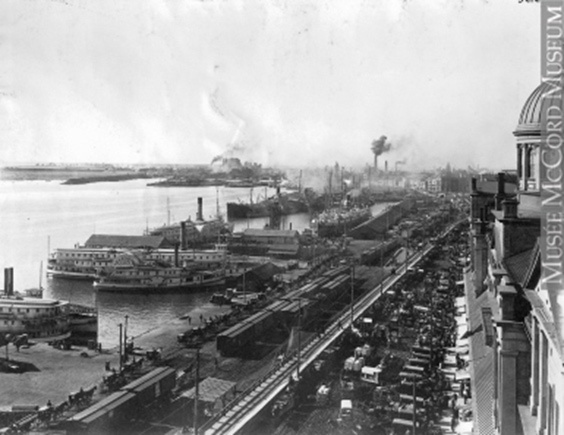 Specifically, the merchandise brought to Montreal was used as a bargaining chip to acquire other products in order to supply the general store of the village. All this without mentioning all the other related activities that the founder was focusing on. 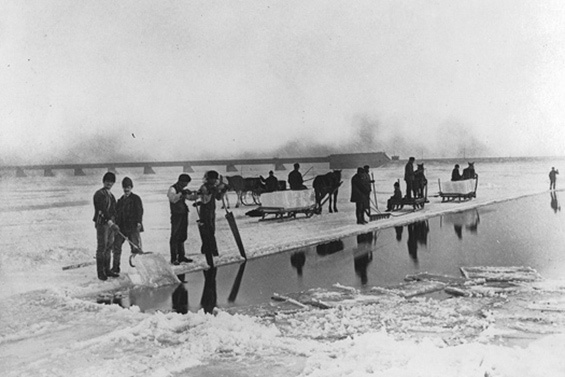 During winter time, Ludger Bourret was busy cutting ice on lakes and rivers in the area. He took care to keep the ice under the sawdust of the mill to conserve it until the summer in order to deliver it in the houses of the village. It must be said that he was a hardworking man. Today, the 3rd and 4th generation are at the heart of the family business, and continue to practise the job with the same passion as the founder. 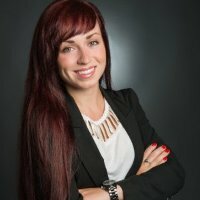 After 90 years of dedication to its customers, this local company is still located in the heart of Quebec and now counts 200 trucks. Naturally, its mission has always remained the same; to serve its clients and engage as a partner in the development of local businesses.